WordPress community in Bangalore has surprisingly been not very active. Bengaluru WordPress is the only officially recognized meetup group in Bangalore. 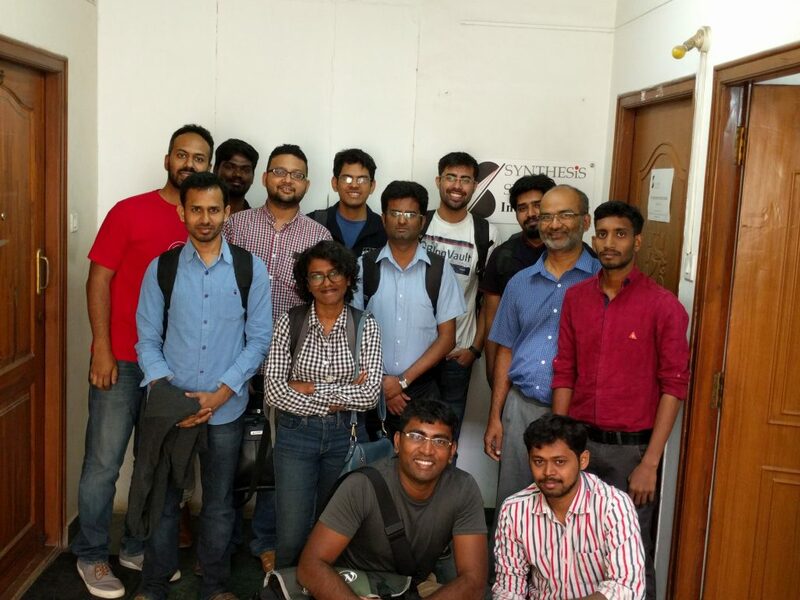 Given that we’re the startup hub and the IT capital of India, it is indeed unusual for WordPress to have not had a vibrant and well-organised community. With the July edition of the Bengaluru WordPress meetup, we hope to kickstart a regular meetup schedule in Bangalore. 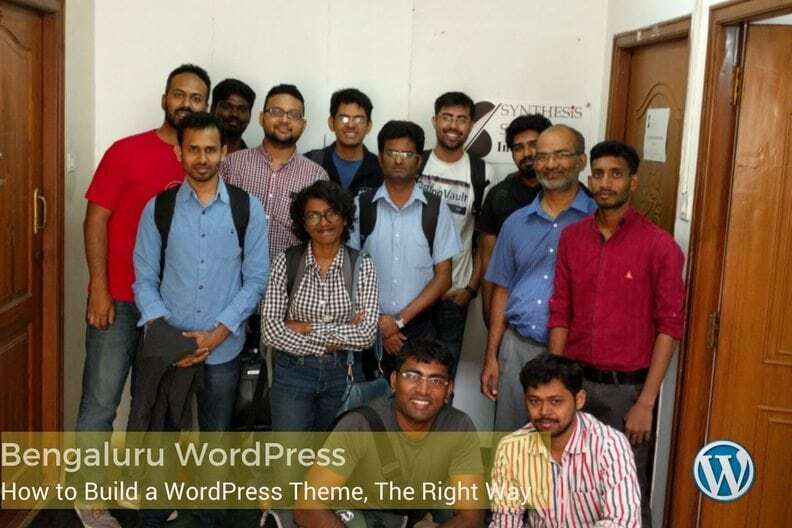 The topic for discussion at Bengaluru WordPress Meetup was ‘How To Build A WordPress Theme, The Right Way”. 14 of 20 people who RSVP’d showed up on a Saturday morning at the Pixelmattic office. Since we didn’t have a speaker, Jenny (WordPress community organizer) recommended we follow the Lean Coffee guidelines for a discussion. So when you install a new theme on your website, you must setup a Child Theme. In the future when you want to make changes to your website layout or design, make those changes in the Child Theme and leave the Parent Theme as it is. What does building a WordPress theme from scratch mean? Do you start with a blank slate every time or with a boilerplate? Underscores or Genesis frameworks can also act as a foundation to build themes on. Brajeshwar made the point that building from scratch need not always mean starting from a blank slate every single time. You can have a few WordPress standard files, and then build around it. Praveen spoke about using the WordPress TwentySixteeen Theme as a ‘Starter Theme’, given that they are minimal in nature and have a good quality code base to start with. Themeforest from Envato is probably the biggest marketplace for WordPress themes today. It’s also as a result, the one clients are most familiar with. So, it’s not surprising when a lot of clients approach WordPress developers with themes they’ve already purchased to customize it further. WordPress.org theme directory is also a great place to look for themes, both free and commercial. Themes available here are scrutinized and reviewed carefully before being allowed to list on this directory. While they do not come with fancy features that you find on best selling themes from Themeforest, these themes are generally more conducive to code customization. One can argue that the code quality is also generally higher. The other potential disadvantage with themes from popular marketplaces that may not follow the GPL licensing strictly or the spirit of it, is you could run into ‘theme lock-in’ issues. So once you purchase a particular theme, with all its bundled features and plugins, the portability of your website to another theme become challenging and not straight forward. Praveen shared an interesting insight about how the Woo themes and WooCommerce run marketplace offers 50% revenue share but take care of the support for you. With Themeforest and other marketplaces, you need to have a support infrastructure in place, although you get a slightly higher share of revenue. WordPress provides resources (listed below) for coding standards to follow. Brajeshwar spoke about ‘linting’ your WordPress code as a best practice to follow. This ensures that when you work in a team environment, the code is standardized and also makes it easier to debug later. Shivam shared his thoughts on how you decide if a certain functionality goes into the functions.php file or a WordPress plugin. If the functionality is specific to a website theme, then it can go into functions.php. If you want to separate the functionality from the website theme and make it independent of the design, then make it into a plugin. That way, when you change the theme, you will not lose the functionality if it’s in a plugin. This is a topic of particular interest to us at Pixelmattic. Since we’re the agency business, building WordPress solutions for clients, we need to balance between a technically sound website and a user-friendly one. And in some cases, a few compromises have to be made. Page Builders empowers the end user in quickly creating new pages and layouts without having to get a developer each time. But they’re not the most elegant way to write code for the website as the shortcode approach can affect the portability of content and also cause performance issues. There are multiple ways to contribute to WordPress. You can help people through the support channels, transalteWordPress to your local language, organize meetups or contribute code to WordPress core. Except for a couple of them who had to leave early, here’s the entire group who showed. Every 3rd Saturday of the month at 9:30am will have a meetup. WPBLR on Slack has been created and will be used to continue the conversations and coordinate for meetups. Join us here! For those who attended, if I missed out on anything, leave a comment and I’ll add it in.